Deputy chief of the Secretariat of the provincial People’s Committee Nguyen Duc Ngan made the statement on April 12. Tea culture activities aim to honour and promote tea growing and processing industry in the largest oolong tea planting area in Vietnam which is located in southern Lam Dong with Bao Loc and Bao Lam districts. 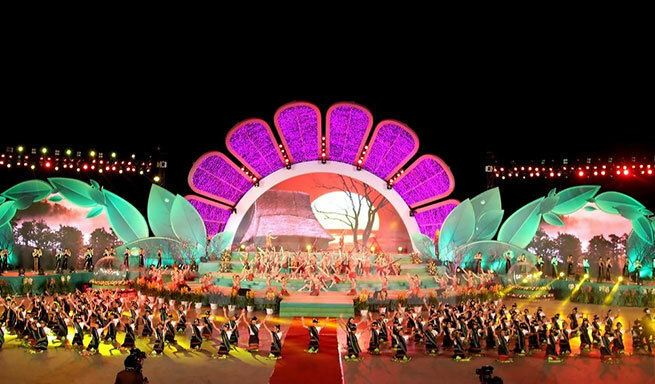 The seventh festival, themed “Da Lat – Sac hoa ngay moi”, is expected to welcome organisations from different countries such as Japan, the Republic of Korea, Belgium and Malaysia. The opening ceremony will take place on December 23 evening and the closing ceremony will be held on December 27 evening at Lam Vien Square in Da Lat City./.